Are you perhaps looking for short term rentals Tampa and a relaxing environment for visiting corporate guests or employees? Elite Housing Solutions has spacious and comfortable short term furnished apartments and accommodations that will make them feel welcome and your accounting department happy! Elite Housing Solutions has a myriad of temporary housing choices perfect for those needs. 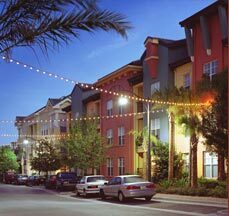 Our short term rentals Tampa and executive suites are much more economical than extended stay hotels in Tampa, Florida. For whatever length of stay and any number of guests if a short term rentals Tampa alternative, significant cost savings and a comfortable, restful atmosphere are on your priority list, you have found the right resource. Let our team with over 50 years of combined experience in the short term rentals Tampa industry, match your needs, budget, and location with the perfect option. Elite Housing Solutions offers the perfect short term rentals Tampa alternative.